Sonus Faber is rightly famous for its elegant, sensual and sophisticated loudspeakers, which go to great lengths to sound like music should. 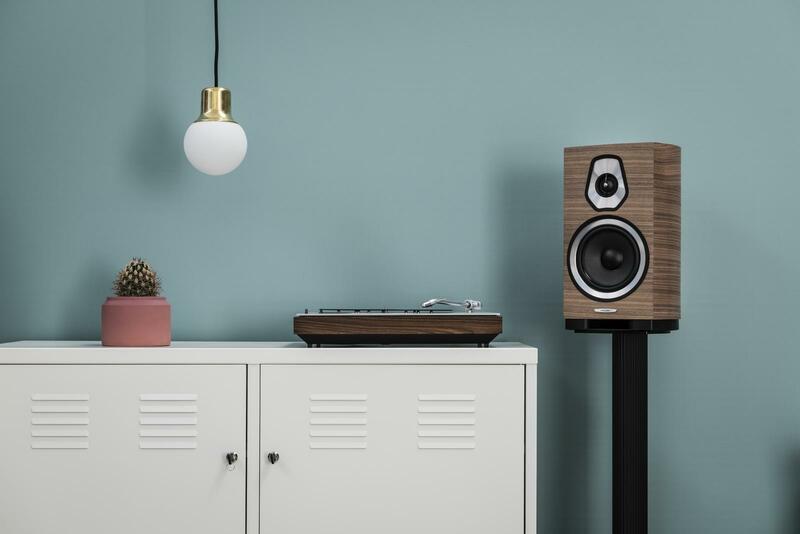 For some, however, Sonus Faber’s price point takes the brand out of reach. 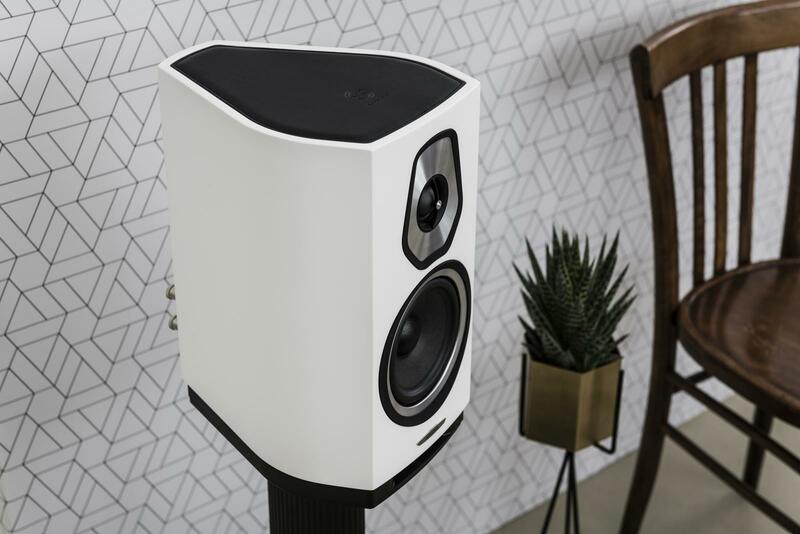 Now, the Italian speaker manufacturer has come up with a lower-priced range that doesn’t compromise on their essential qualities. The Sonetto line draws upon many iconic elements from speakers further up the Sonus Faber range. First, it inherits from the Olympica Collection a top in natural leather, hand-sewn and embellished by the branded Sonus faber logo. Next, for the first time in this price range, the new collection features the so-called “Voice of Sonus faber”, the iconic configuration of tweeter and midrange that features the DAD (Damped Apex Dome TM) tweeter technology and a midrange complete with our proprietary natural fiber recipe cone, previously only available on Olympica, Homage and Reference collections. The “Made in Italy” tag is not only a source of pride for Sonus Faber, but also the guarantee of a meticulous production process, which is reflected in the superb fit, finish and electroacoustic performance within each pair produced. Sonetto is a true Sonus faber collection that features all of the elements of the brand: natural sound, natural materials, the Lute shape, the pristine finishes typical of fine Italian craftsmanship, cutting-edge technology and manufacturing done completely in their factory in Vicenza. A clean industrial design language has been used focusing on the elegant proportions of the wood cabinets. The front baffle is an integral part of the cabinet, creating a seamless structure with the curved sides. This form is accented by gun-metal finished aluminum aesthetic frames and a soft leather top. Solid aluminum hardware is used throughout the design to provide solidity and maintain consistency with the rest of the product portfolio. Down-firing reflex ports allow for forgiving room placement and consistent bass output throughout the listening environment. Features include: Paracross TopologyTM on each x-over design for the best contrast and musical detail and definition; DAD (Damped Apex DomeTM) tweeter technology already available in the Reference, Homage and Olympica lines; midranges and midwoofers purpose-built using a special blend of natural fiber and air-dried cellulose completes the ‘Voice of Sonus faber’; woofers designed from scratch as well, also featuring the Sonus faber die cast basket but with a special aluminum alloy diaphragm allowing ultra-fast, tight and yet deep bass performance. 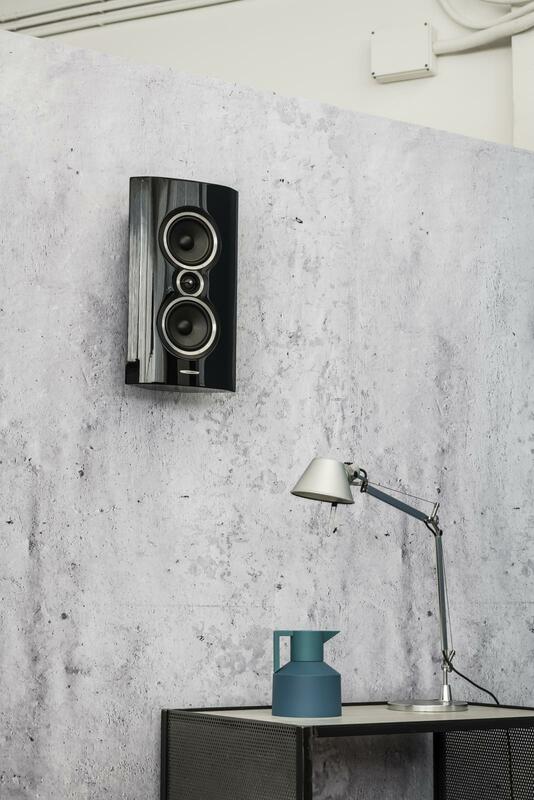 Available in three finishes – matte black, piano black and wood – the collection features eight models: Sonetto VIII, Sonetto V and Sonetto III, the floor-standing loudspeakers, Sonetto II and Sonetto I bookshelf loudspeakers, Sonetto Center II and Sonetto Center I, center channel speaker options, and the versatile Sonetto Wall, an on-wall speaker which can be used as a main stereo, multichannel surround or LCR solutions. 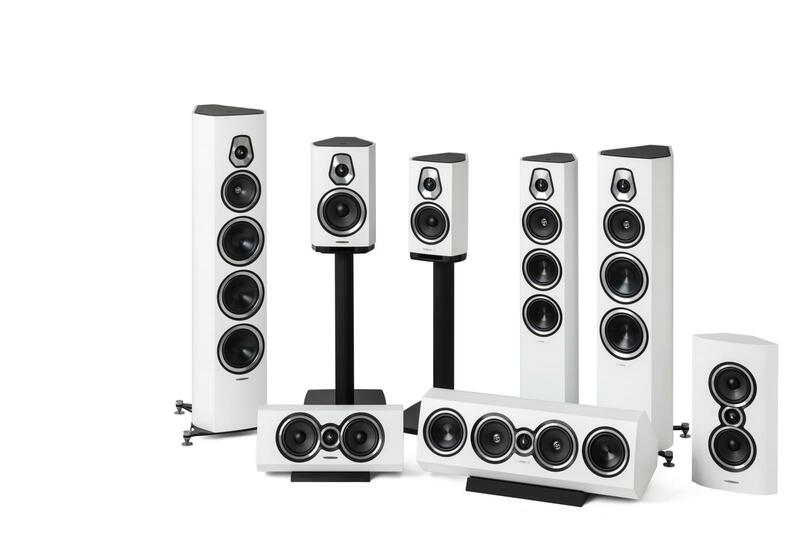 Prices range from $2200 for the wall speaker to $13,000 for the floorstanding loudspeaker.